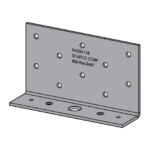 The secure floor anchor clip (FA) connects a wall stud to the floor and provides a secure connection through the use of a 90° angle that is designed to resist torsional, horizontal, and vertical loads. It is provided in 68 mil or 118 mil thickness to meet any design criteria and comes with pre-punched guide holes in each leg for superior installation efficiency. 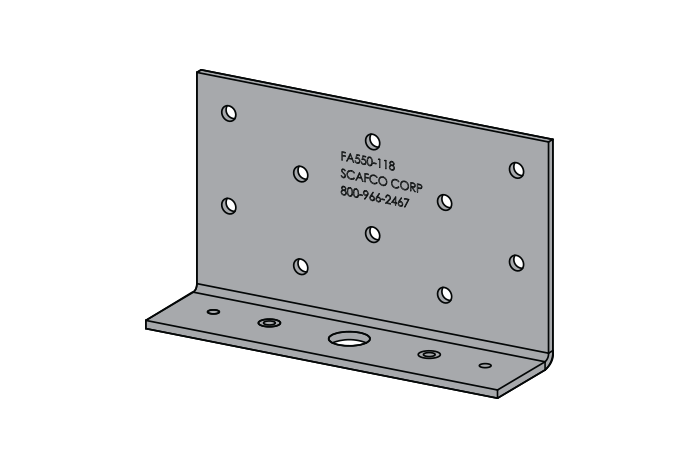 The FA may be attached to the structure with either an approved fastener or a weld, depending on the material properties of the structure and the proposed design. 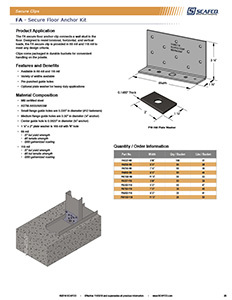 For load table information, please contact SCAFCO at 800-966-2467.